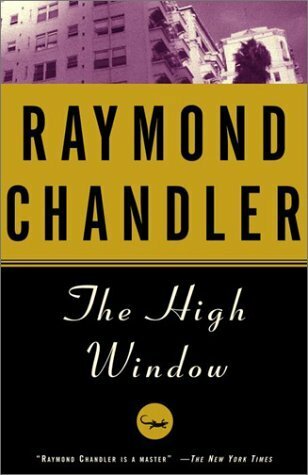 The High Window is another excellent novel featuring Raymond Chandler's hard-boiled L.A. detective, Philip Marlowe, although to my mind it's not quite on a par with Chandler's masterpieces, The Big Sleep and The Long Goodbye. The case opens when a wealthy, twice-widowed Pasadena woman named Elizabeth Bright Murdock hires Marlowe to discreetly recover a valuable coin that has been stolen from her first's husband's collection. The client insists that her daughter-in-law, whom she hates, has taken the coin although she has no proof. The daughter-in-law has either left or been driven from the home. Mrs. Murdock wants Marlowe to quietly find the woman and get the coin back. The police are most certainly not to be involved. All in all, this is a pretty strange household that also includes Mrs. Murdock's wimpy son and a severely repressed young secretary whom the widow treats like a doormat. Marlowe takes the case, although he pretty much knows from the git-go that everyone is lying to him, including his client. Well of course they are, and before long poor Marlowe is up to his neck in a case that involves gambling, infidelity, blackmail and a small handful of murders. 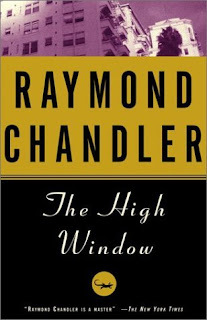 As is the case with any Raymond Chandler plot, it's all pretty confusing, although in the end, this one gets sorted out better than most. As always, it's great fun to follow Marlowe through these tangled webs and, as always, the book is beautifully written in a style that has often been imitated but never matched. Raymond Chandler and his tattered detective were each one of a kind. Glory in Gaming Throughout the Ages!